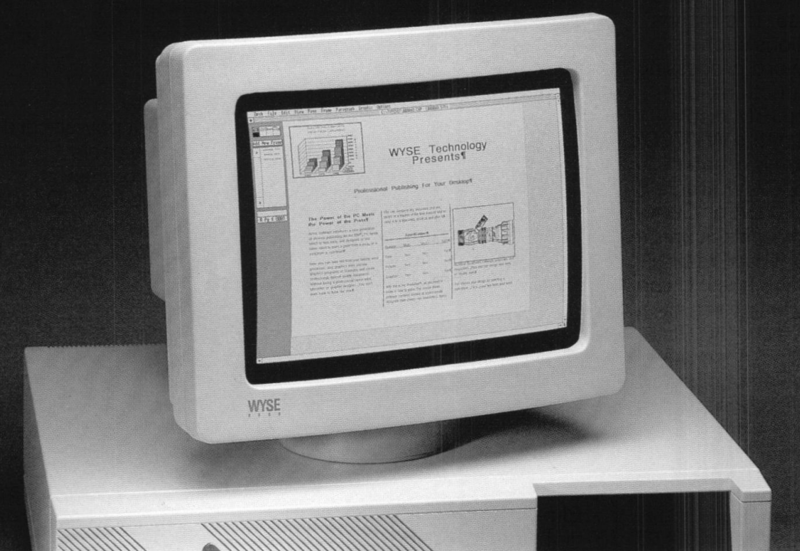 1980s, 1986, Code page 437, DOS, fonts, resolutions. 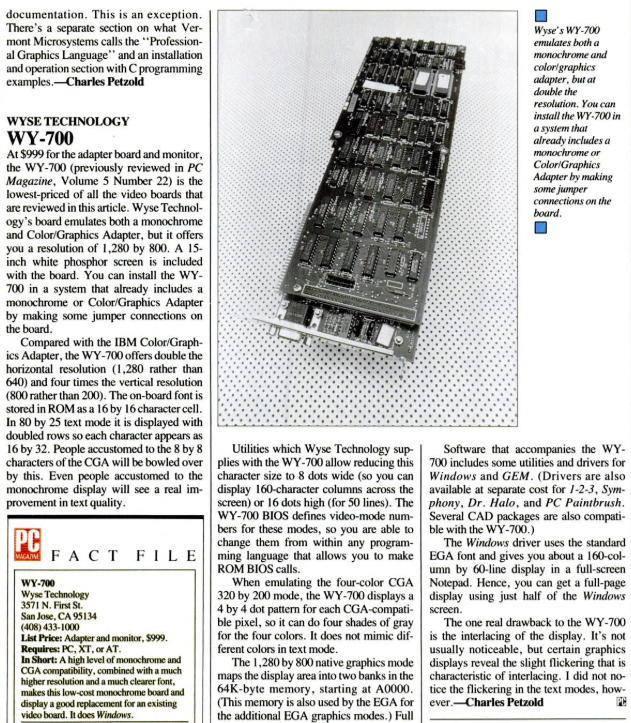 The 1986 retina screen: the WY-700 video card/screen gave the PC a 1280×800 resolution, and a text-mode of 160 columns by 50 lines. 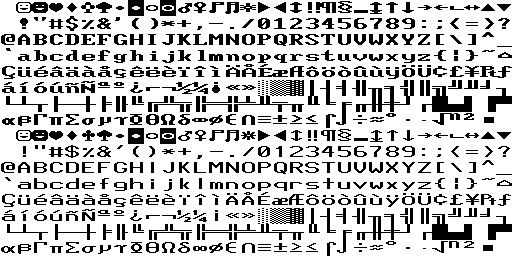 It had a built-in 16×16 font (download), and you could even use your own custom fonts. 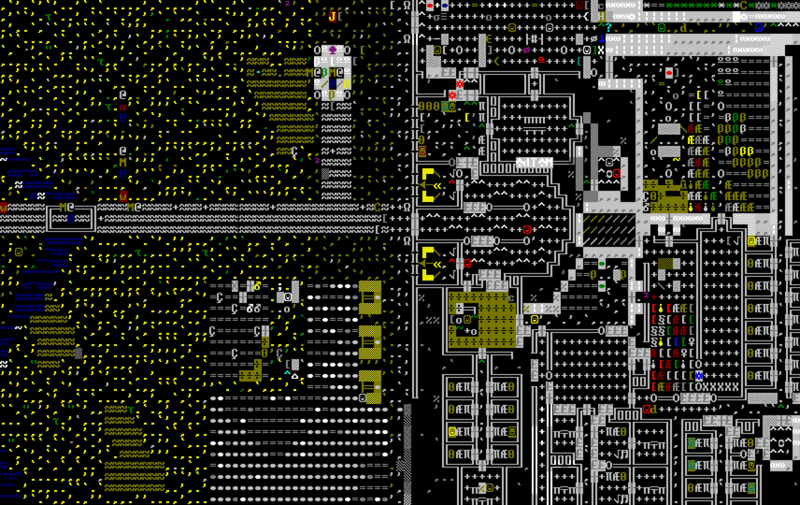 The high-res modes only supported greyscale, but who needs colours anyway? Sources: John Elliot, thecomputerarchive.com, PC Mag. 2010s, 2014, animation, ansi, Code page 437, game. 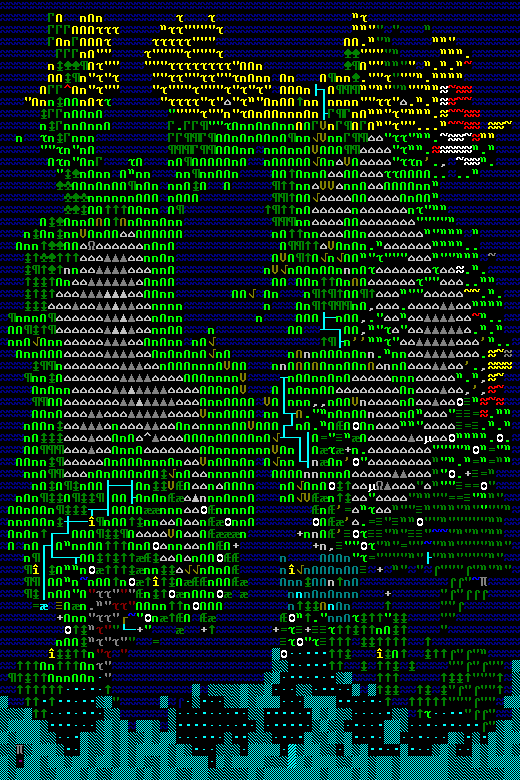 From the game Cogmind, currently developed by Grid Sage Games. 2000s, 2006, ansi, character sets, Code page 437, video games. 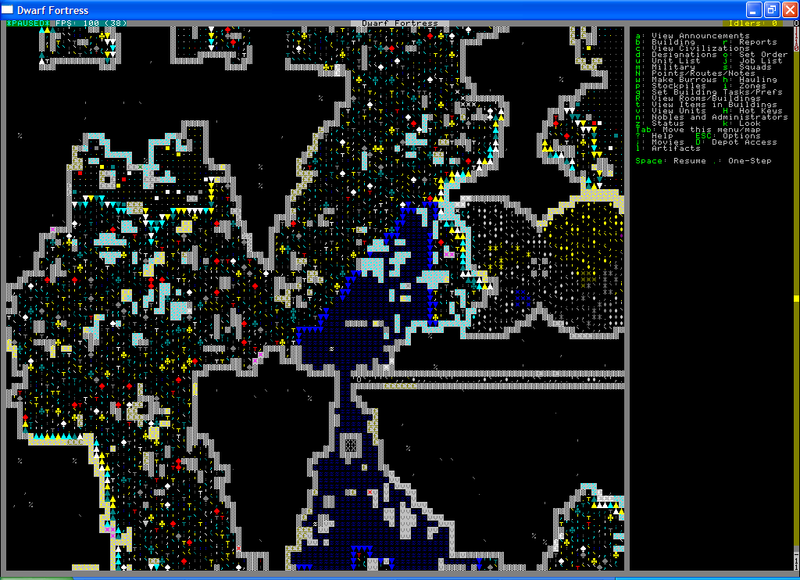 Dwarf Fortress or Slaves to Armok: God of Blood Chapter II: Dwarf Fortress (Tarn Adams, 2006), is a part roguelike, part city-building freeware video game set presented in text-only Code page 437 graphics, in various colors.